Latest Gunners injury news for epl game. Arsenal boss Arsene Wenger has given updates on the injured list ahead of Premier League clash against Chelsea this weekend. Arsenal boss Arsene Wenger has given updates on the injured players ahead of Premier League clash against Chelsea this weekend. Arsenal fans have big news as several of star players are set to return, read full story below. Arsenal will face Chelsea in a Premier League game at Emirates Stadium this Sunday. The Gunners have good news as star players Alexis Sanchez is back to training after recovering from hamstring injury. The Chilean remains a doubt for this game as he has been out since November, so it is expected that Wenger will not rush him. 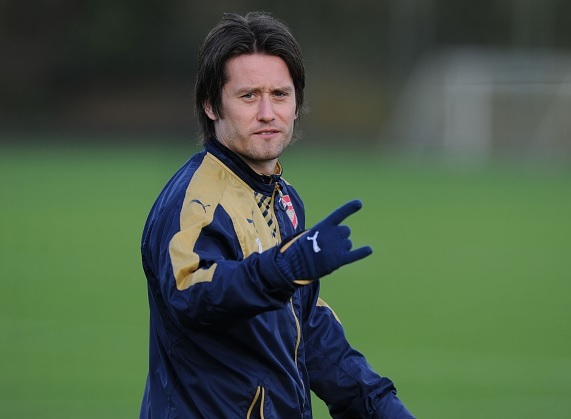 Midfielder Tomas Rosicky has also returned to full training but he is not going to take part in first team action. However, French boss confirmed that he will feature in under 21 game this Friday. While another good news is that striker Danny Welbeck is set to return from his long term injury next week. Francis Coquelin is also set to return to first team action soon as he returned to training earlier today. Mesut Ozil will be back for this game after missing out last game against Stoke City which ended as a goalless draw. On the other hand, Santi Cazorla and Jack Wilshere remain on the sideline through injury.